3, 500 Sq ft, 3 bed, 3.5 baths, Bonus can be bedroom, 1/2 Acre lot. Rebuilt foundation up in 2008. Large rooms, open floor plan, cent vac, cent A/C, wood stove, jetted tub, two 8x20' storage rooms, cherry cabinets, granite tops, 5x8 kitchen island, 2 convection ovens, kitchen plumbed for gas. 4 car detached garage/shop w/220, large garden area, fire pit, sprinklers. Great home & property in a great location. 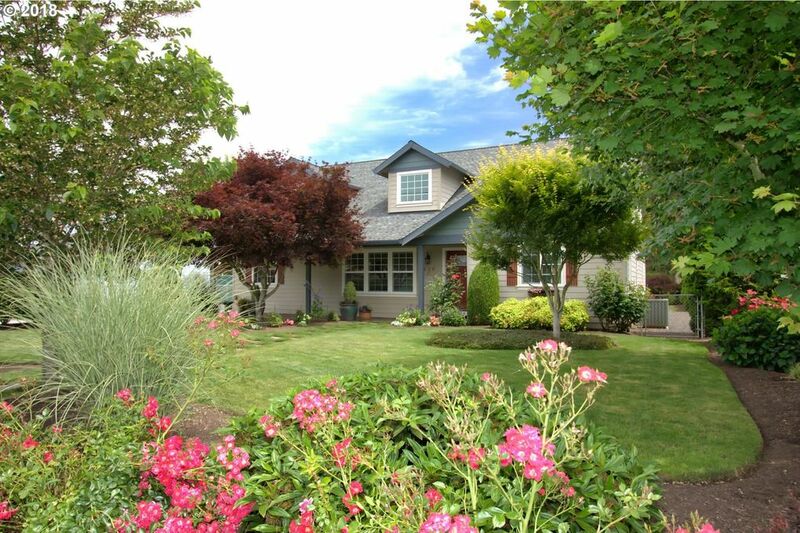 Seller licensed Realtor in OR.